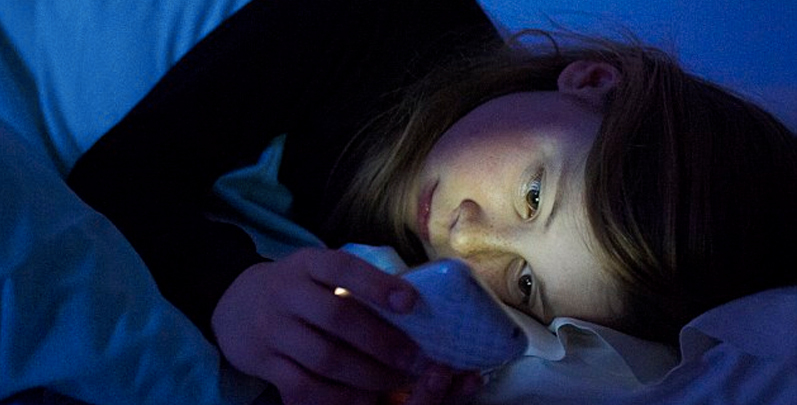 BOSTON, MA – Use of a light-emitting electronic device (LE-eBook) in the hours before bedtime can adversely impact overall health, alertness, and the circadian clock which synchronizes the daily rhythm of sleep to external environmental time cues, according to researchers at Brigham and Women’s Hospital (BWH) who compared the biological effects of reading an LE-eBook compared to a printed book. These findings of the study are published in the Proceedings of the National Academy of Sciences on December 22, 2014. Previous research has shown that blue light suppresses melatonin, impacts the circadian clock and increase alertness, but little was known about the effects of this popular technology on sleep. The use of light emitting devices immediately before bedtime is a concern because of the extremely powerful effect that light has on the body’s natural sleep/wake pattern, and may thereby play a role in perpetuating sleep deficiency. Author’s note: If you really need to be on your tablet or phone before bed for whatever reason, you may want to consider using filters that block blue light. Android has an app that produces this effect while a physical filter for your iOS might be needed (See recommendation here). Thanks for sharing the article. Youth of today’s generation is very addicted to this habit and it should be told to them that eyes are getting damaged due to this.